Thanks to French startup Expliceat. There's plenty of food to go around, but most of it is left rotting in the back of our cupboards rather than in the hands of those who need it. Imagine the scenes at a bakery at the end of a slow day, its shelves packed high with bread that's rapidly going stale. It's a problem that French startup Expliceat is hoping to cure with its plan to turn spare loaves into cookies, muffins and pancakes. It's not a new idea, and you can scour Pinterest for hundreds of recipes that recycle bread into cakes using a blender to create breadcrumb flour. What's novel here is that Expliceat has built a commercial mill that's just designed to crumb down bread that it rents out to commercial bakeries. 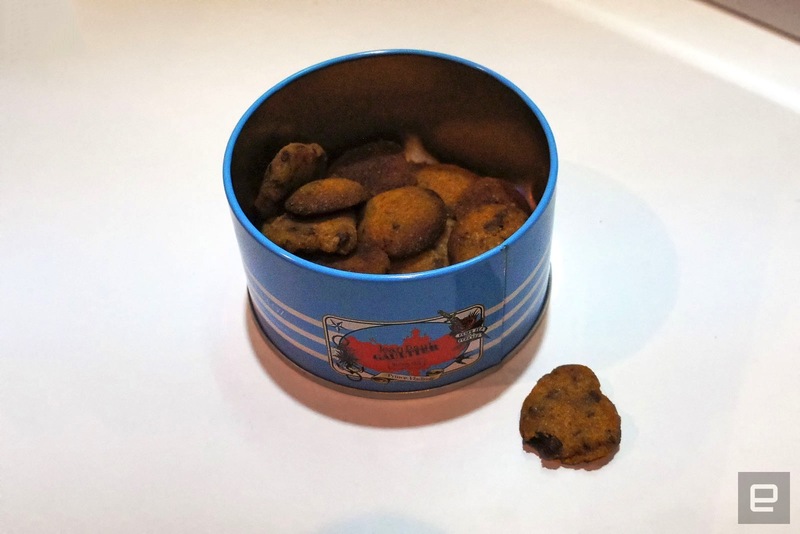 In addition, the startup is working with French mega-retailer Carrefour on a small trial of the product that, if successful, will see these cookies sold all over the country. I've tried a few of these recycled food products over the years, including cupcakes from Mexican startup Limmo. In that instance, Limmo powder is made up of leftover fruit residue from a smoothie factory that's used as a bulking agent. Because of its fruity sources, burger buns made with Limmo's product are also far healthier than the standard options. If there's a downside, it's that you're always aware that you're not eating the real thing, although it'd be easy to get used to. Speaking of taste, I'm told that Expliceat's cookies will be marketed as a premium product designed to accompany a swanky coffee. I'm sorry to say that you'll need something alongside the foodstuff because it's not that pleasant on its own. The crumb is a little bit too big and you need plenty of oil and butter to bind it all together, making the end product far too oily. The bitter chocolate chips don't help matters, and the recipe needs tweaking to be a little more palatable. It's important to remember, however, that climate change is an ever-increasing threat to our crops and food production. By reducing the amount of wastage, it may help to ensure that future generations can get bougie cookies without any guilt.